While the initial excitement of all the new releases is starting to die down, there is still a lot to see at MWC 2016. We’ve already showed you the LG G5, Samsung Galaxy S7 and S7 Edge, the LG G5 app drawer, the Huawei MateBook and the Sony Xperia X line. 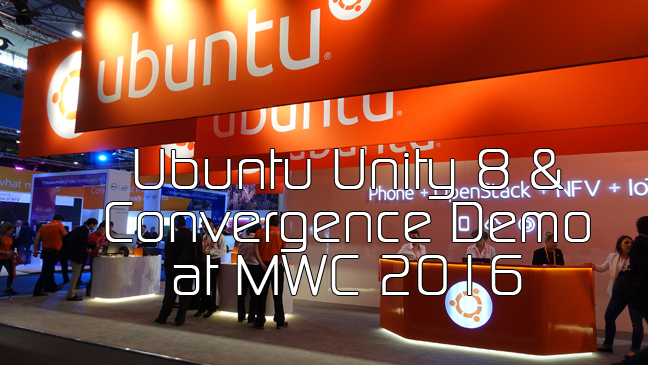 XDA TV Host TK took some time to talk to John Lee with Ubuntu and get a demonstration of Ubuntu Unity 8 and the benefits of convergence. Check out this video. The learn more check out this link. Be sure to stay tuned for more MWC 2016 news and videos!